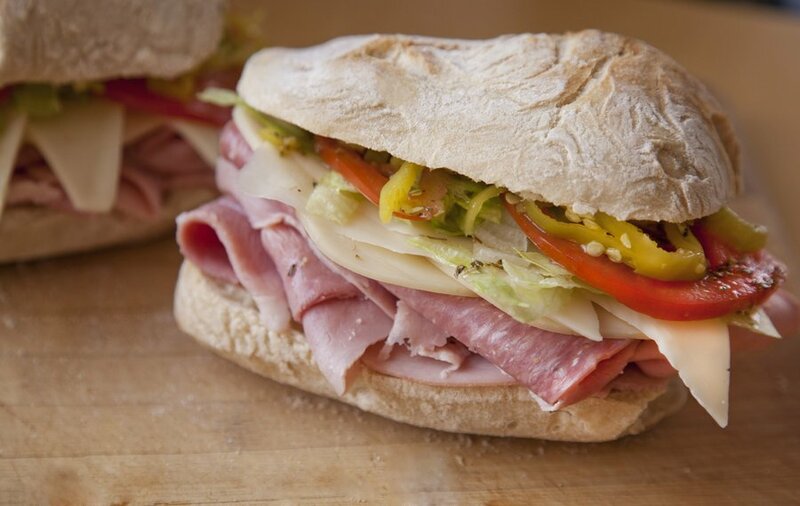 I can’t remember the exact moment when I had my first taste of an Italian Hero but I do remember it was one of those huge 6-foot long heroes that one only seems to lay eyes on at a large party. I remember looking at the sheer size of the hero and thinking it was a pretty incredible sight to see, but after actually taking my first bite, I knew the amazingness stretched far beyond it’s aesthetic wonders. Being a picky kid and thinking that the world revolved on a Peanut Butter and Jelly sandwich, I was skeptical about the various colors of meats and ingredients on this sandwich, but I decided to taste it anyway. And lord am I happy I did. 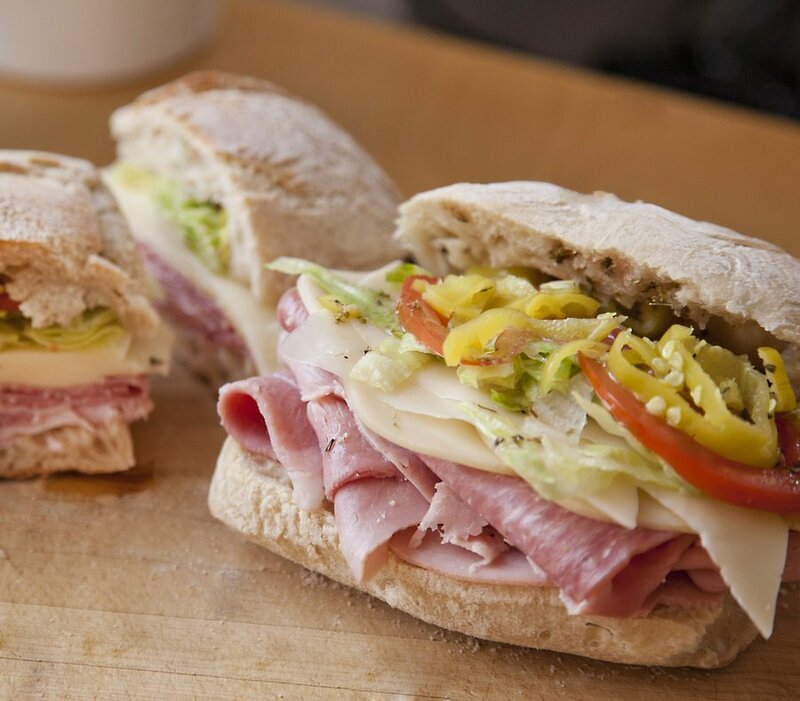 While every deli and Italian joint makes their Italian Hero differently, there are inherently some similarities. 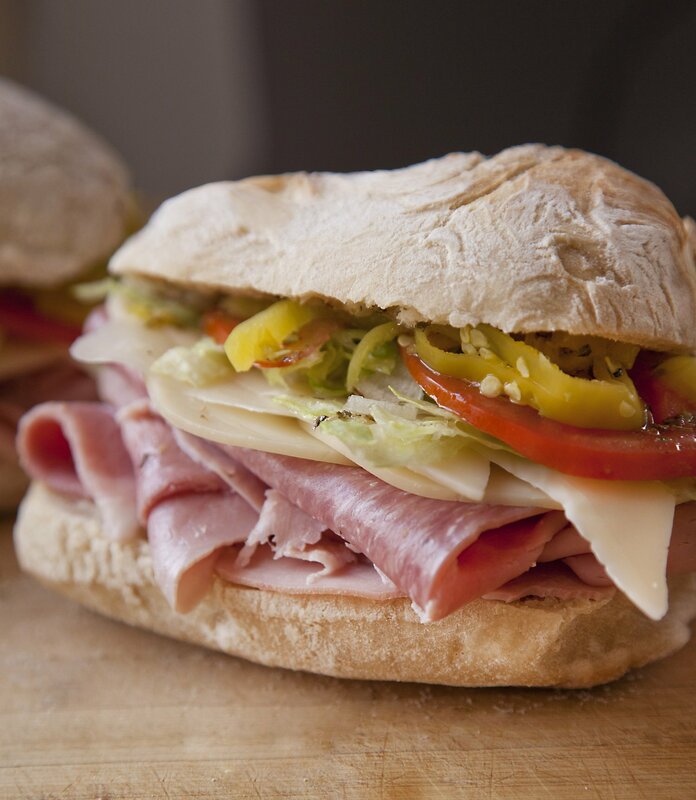 First is the bread – usually a form of Italian Bread –, which is doughy on the inside, crunchy on the outside. Then are the meats – each place is different with their combinations, but usually it’s an amalgam of various cured pork products (ham, salami, prosciutto, capicola, mortadella, etc). 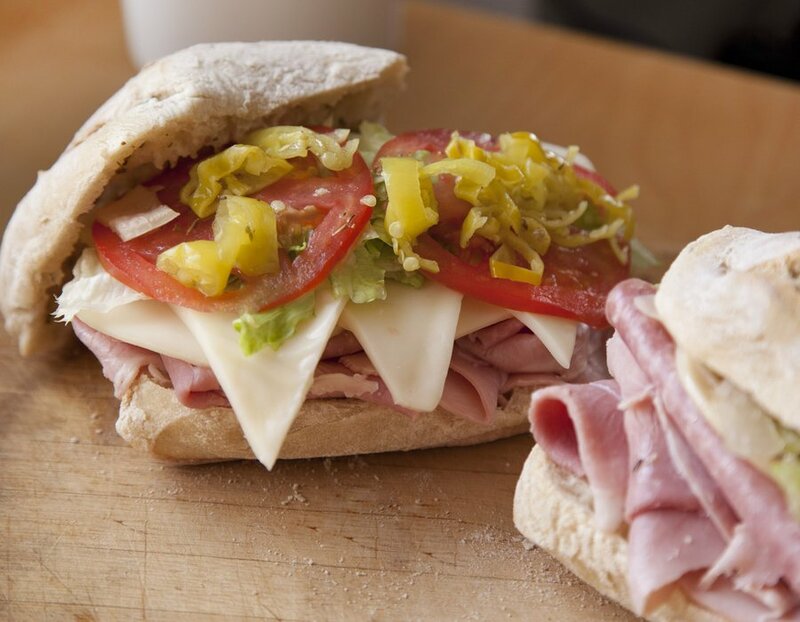 Next comes the cheese…usually Provolone or Mozzarella…or both if your deli is a baller. And finally, the condiments…tomato, lettuce, pepperoncini, roasted red bell peppers, sundried tomatoes, olives, vinaigrette, etc. I literally just got hungry listing all those delicious components, but I will persevere on, in order to explain this at a greater length. For my Italian Hero, I took my favorites from the above list of ingredients and created what I feel is the best representation of the perfect Italian Hero. 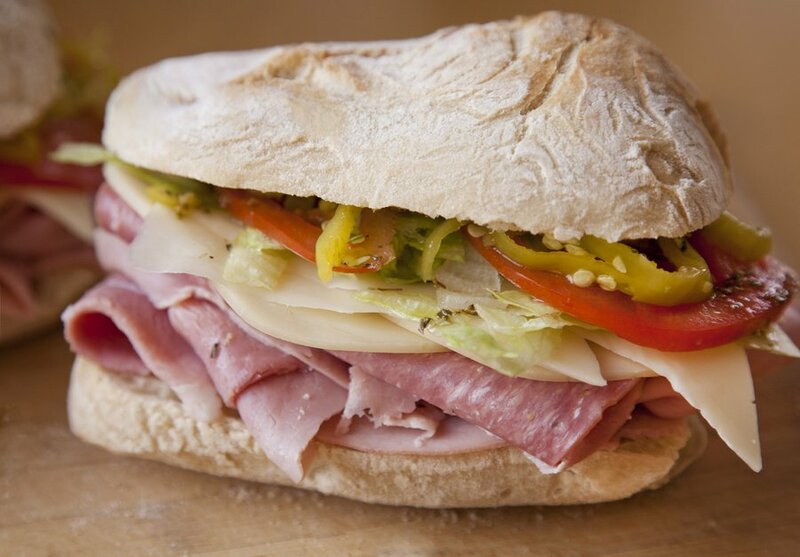 While I am at it, you may notice I call this sandwich a HERO. 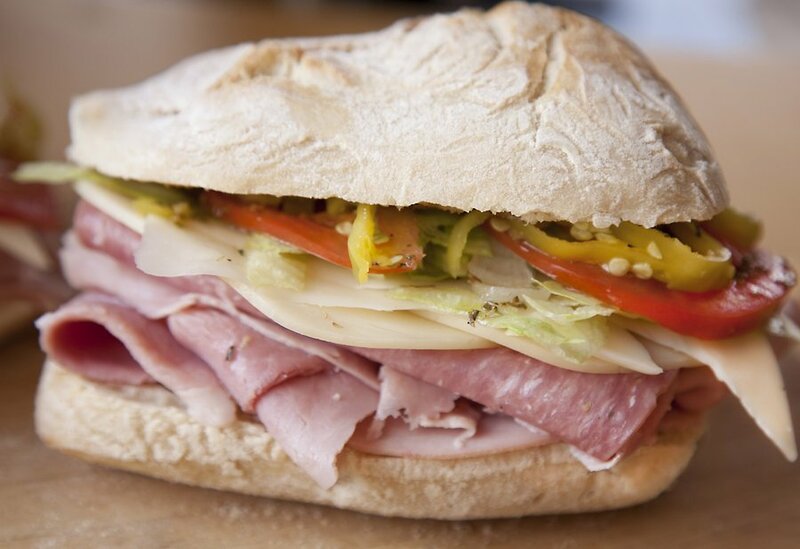 Not a Hoagie or a Sub….a HERO. I am from New York…it’s a Hero. Also, no self respecting Italian would call it anything else. Now that that’s clarified, enjoy the recipe and photos! Let me know what your favorite combo of ingredients are! Classic Italian Heroes made at home! Mix together your oil, vinegar, garlic powder, oregano and salt in a dressing jar or a bowl to make a vinaigrette. Drizzle your vinaigrette over the insides of your bread. 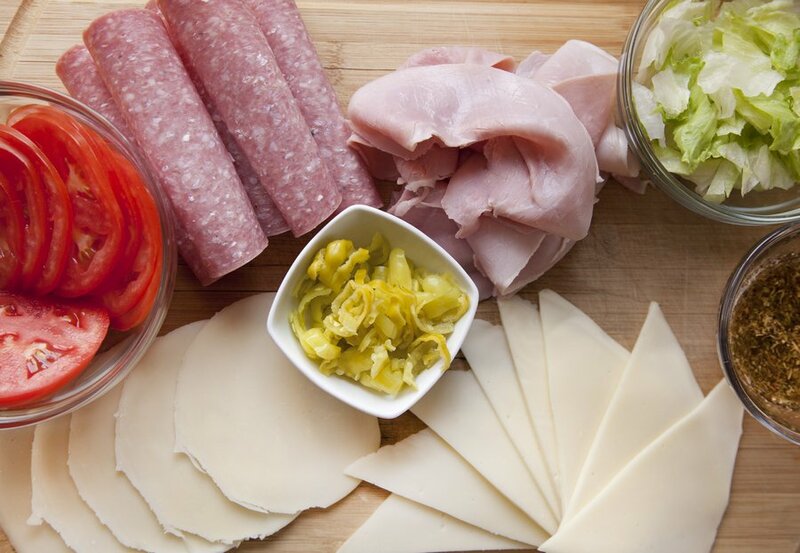 Divide up the meats and cheeses evenly on 4 rolls. Top with tomato, lettuce and pepperoncini. Serve.